UK Release Date - 22nd June 2007. US Release Date - 22nd June 2007. Format - Single-MP3 Digital Bundle. Engineered By - Phil Collen/Laurence Brazil/Ger McDonnell. The second single from Manraze was released in June 2007. 'Turn It Up' is an uptempo rocker that celebrates the early influences on the three band members with many references to classic song titles. 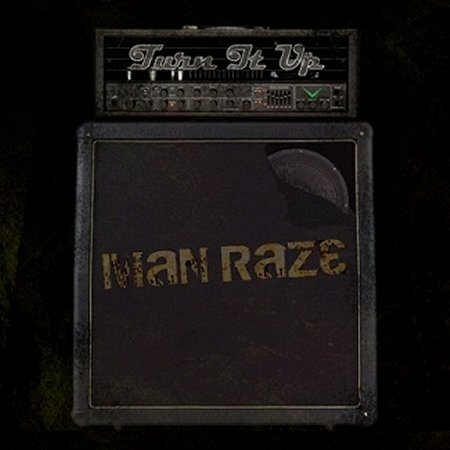 The song was released to coincide with the revamp of the official Manraze website. The digital pack consists of three mp3 files and one Windows Media video file. 'Turn It Up' and 'Connected To You' were released for the first time. 'You're So Wrong' is a re-recording - different to the 2005 version. All three songs were recorded in Dublin in April 2006. 'Turn It Up' was also included on the March 2009 compilation CD 'Little Steven's Underground Garage Presents - The Coolest Songs In The World! Vol. 8' Featuring 16 tracks played during Little Steven's US radio show. Manraze are track 6 and 'Days' by David Bowie is track 16.